Here is a list of our current inventory of luxury rental homes around Boca Grande. Welcome to the Beach! These vacation rentals are why you visit Boca Grande. Enjoy the sun and surf right outside your door of these beachfront vacation rentals. What better way to explore the waters of Boca Grande! These vacation properties have a boat dock or access to an area to keep your boat. The waters surrounding Boca Grande are some of the finest waters you will find in Florida. Boca Bay is one of the Islands premier waterfront communities. Featuring seven private and gated neighborhoods each with its own distinct environment. North Village, North Bay, South Bay, Grande Bay, Beach View, and Harborside and Harborshore. The Boca Bay communities offer amenities to members including the Boca Bay Pass Club, a full service club that is the communitys social center, 4 heated swimming pool, two Gulf front and two bayside, Beach Club, 7 lighted Har-Tru tennis courts, and a well-appointed fitness center in the historic Power House. Also, miles of meandering pedestrian and bicycle paths with benches, gazebos and bridges to truly highlight the beauty of the Boca Bay community. What better place to stay then in historic village of Boca Grande. These vacation rentals are located within the historic district and put you right in the middle of Boca Grande. Just off the island of Boca Grande are some great places to vacation. Gasparilla Vacations has luxury vacation rentals in nearby communities such as Placida, Cape Haze, and Little Gasparilla Island are fantastic places to spend your vacation days. All these areas are located near Boca Grande. Sit back and enjoy the area of Boca Grande, poolside! Now whats a Florida vacation without a pool. 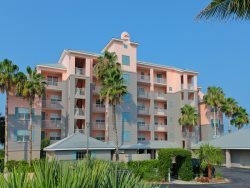 Gasparilla Vacations offers vacation rentals with a private pool, and those with a community pool. Enjoy the views! These luxury vacation rentals feature a waterview. Many of our properties offer spectacular views of either Charlotte Harbor or the Gulf of Mexico.